The latest report from Greater Toronto Area REALTORS® proves the weakening of Canada’s largest housing market. 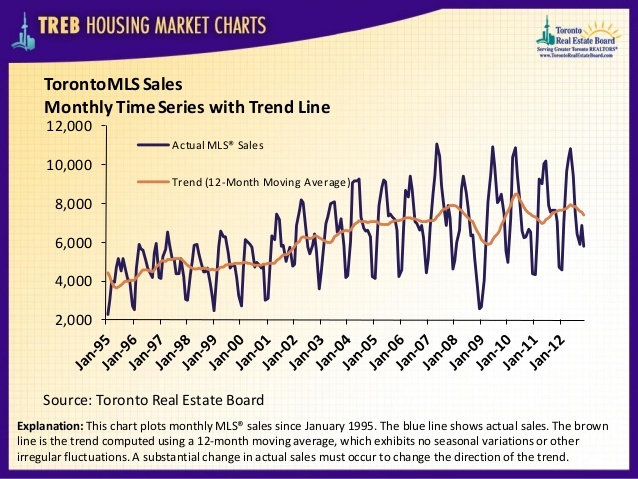 According to the figures, there were 5,793 sales recorded through the Toronto MLS® system in November 2012. This represents a decline of 16 per cent compared to November 2011. Toronto home sales reached their 2012 peak of 10,546 units sold in May, and afterwards steadily deteriorated totalling 5,793 units this November. 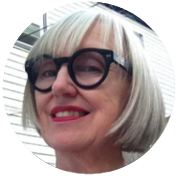 Toronto Real Estate Board President Ann Hannah points out that tight mortgage lending rules, which include a shortened maximum amortization period and a one million dollar purchase price ceiling for government-insured mortgages, have pushed many buyers to the sidelines. This situation has been even worsened in the City of Toronto as a result of implementing the additional upfront Land Transfer Tax, which takes money away from buyers and otherwise could be used for a larger down payment. 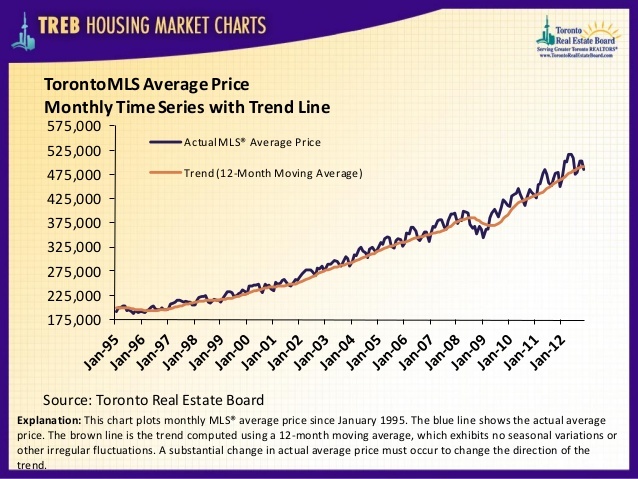 Furthermore, he adds that the 6 per cent increase of the MLS® HPI detached benchmark price, which tracks the price for a home with the same attributes over time, suggests that market conditions for low-rise homes are still pretty tight even though there’s a changing mix of sales. The cooling of Canada’s housing market is forecast to cease across the whole country, and most experts predict a soft landing. Economists from the Bank of Nova Scotia predicted that moderating home sales should slow the pace of residential building, especially in the overfilled condominium markets in Toronto and Vancouver. As the Huffington Post informed on December 5th, Finance Minister Jim Flaherty expressed that he was glad to hear the housing market was calming in Canada, a change in the mortgage market he attributed in part to his decision to tighten mortgage rules this summer. The housing decline in Canada played a significant role in the overall economic plunge recorded in the third quarter, with the sector dropping by 3.5 per cent annualized. The GTA housing market is expected to adjust down in the next few months; however, it may regain some momentum in the second half of 2013, informed Shaun Hildebrand, Canada Mortgage and Housing Corporation’s (CMHC) senior market analyst for Toronto. CMHC demonstrated its most recent projection of the GTA real estate market at the annual CMHC Housing Outlook Conference. Hildebrand adds that “stable fundamentals and a greater level of selection in the condo market will help first-time buying improve while demand from repeat buyers holds steady.“ In addition the conference forecast that the recent slowdown in demand for new homes might bring housing construction back in line with demographics in 2013. Persisting strong rental market conditions will remain to support the condo market. Cooling housing prices might have a positive impact on retail spending power of potential first-time home buyers, according to a new report from CIBC World Markets. As the report points out, while the slowdown in Canadian home sales will decelerate the domestic economic growth by lowering new housing starts and related sales of furniture and appliances, a continuous decrease in prices may bring some benefits for parts of the economy and for certain groups of Canadians. 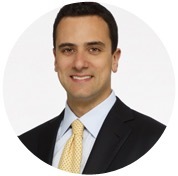 Gradually decreasing prices represent a more favourable alternative to a harder landing from even higher prices down the road, suggests Avery Shenfeld, chief economist at CIBC. He adds that cheaper home prices could free up spending power of first-time buyers such as young newlyweds. Furthermore, the report points out that cities like Toronto or Vancouver that have become too expensive for many immigrants and retirees could benefit from the decrease of real estate prices. Mr. Shenfeld mentions that even though growing housing prices in Calgary have been below the Canadian average over the past five years, including an almost 15 per cent slip in 2008, retail spending in the city has been well above the national average. The report acknowledges that overall, slowing home sales will negatively affect the economy, reducing Canada’s economic growth by almost a whole percentage point. Canadian home owners who were hoping to sell their homes to save up for their retirement are likely to end up with less spending money. However, the report says that Canada is not in danger of a similar housing crash seen in the U.S. and Ireland. Canada hasn’t lent as aggressively to its lower-income home buyers, and a correction in house prices caused by a tighter regulatory environment and earlier price overshooting, rather than by defaults, would not on its own generate that same banking system shock. Most historic wealth declines coincided with other sources of economic weakness, including rising unemployment or high interest rates that depress consumption. A steady cooling in house prices that is early enough to evade a major shock in the financial sector will look good if Canada gains more support from global growth in the next two years.